You probably identify Gustave Caillebotte with his paintings of umbrellas around Gare St Lazare. Left apart from the Impressionist craze, he was rediscovered two years ago with a large retrospective at Musée des Impressionistes in Giverny and now, he has his own house outside Paris, a charming 1824 building which was renovated by the city of Yerres. It is an hour’s drive on the way to Provins and 24 mins on the RER from Gare de Lyon. 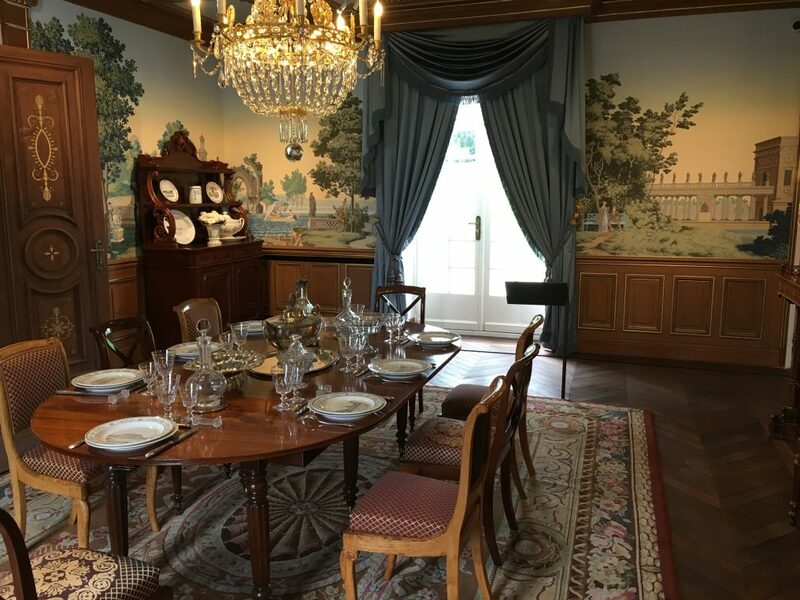 It has been a long time endeavor that Valérie Dupont Aignan, then wife of the mayor of Yerres and a lawyer by training, has undertaken to renovate this house which belonged to the Caillebotte in the 1860’s. The artist has painted it repeatedly as well as the park which is now municipal. It is a charming spot and the huge efforts put into the restoration are very successful. 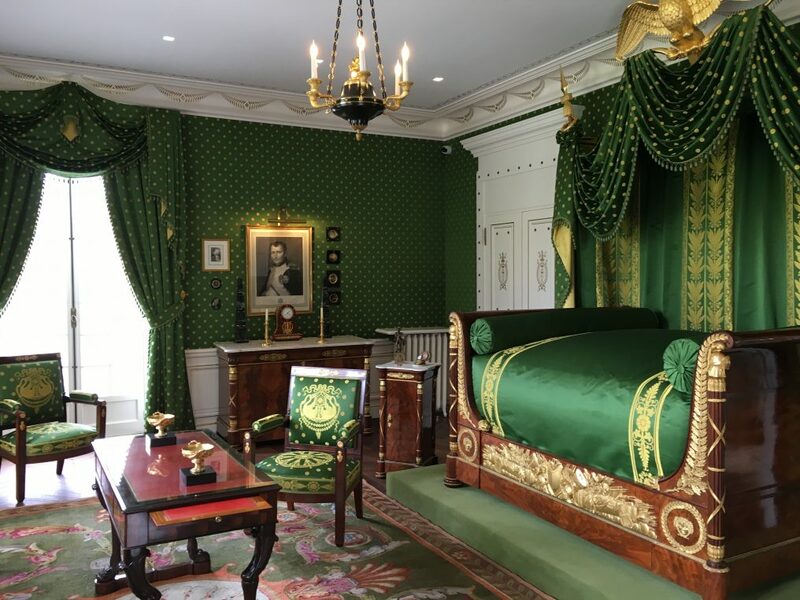 A whole bedroom in Empire style furniture has been acquired at Robert de Balkany’s estate sale last year, the billiard used to belong to French President Adolphe Thiers and most pieces of furniture have been lent by Mobilier National for a thirty year period. Visiting the house is like entering a lost world. 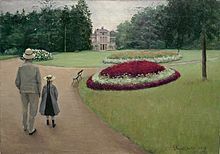 One discovers the opulence and a certain formality of 19 th century life but also on the second floor through films and photographs, the very dynamic lives of the three Caillebotte sons. 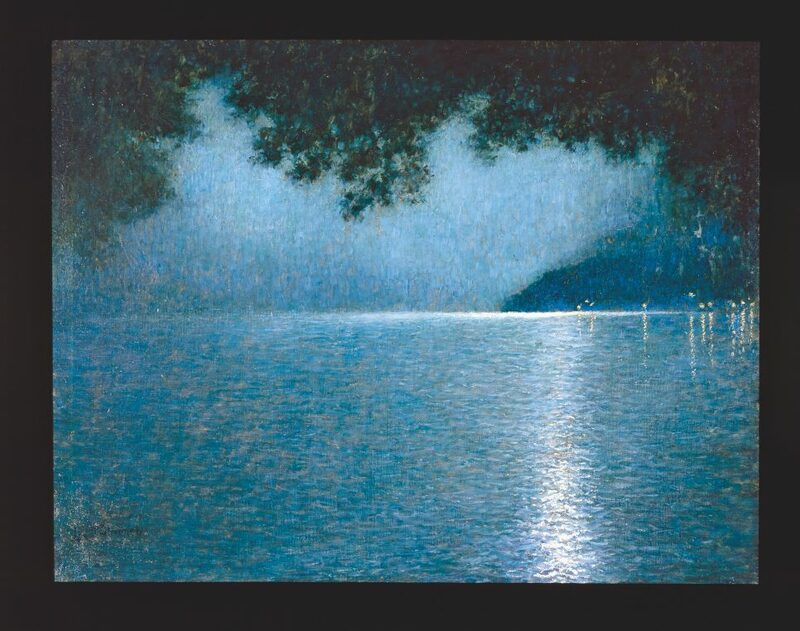 Gustave, the painter and naval architect, his half brother Alfred who became a priest in La Villette and curate of Notre Dame de Lorette and Martial, the composer and photographer, who shared many of Gustave’s tastes. They were brought up in a wealthy family of industrialists. Their grand father had provided all sheets to Napoleon’s army. The house is a little treasure of 1830’s style. 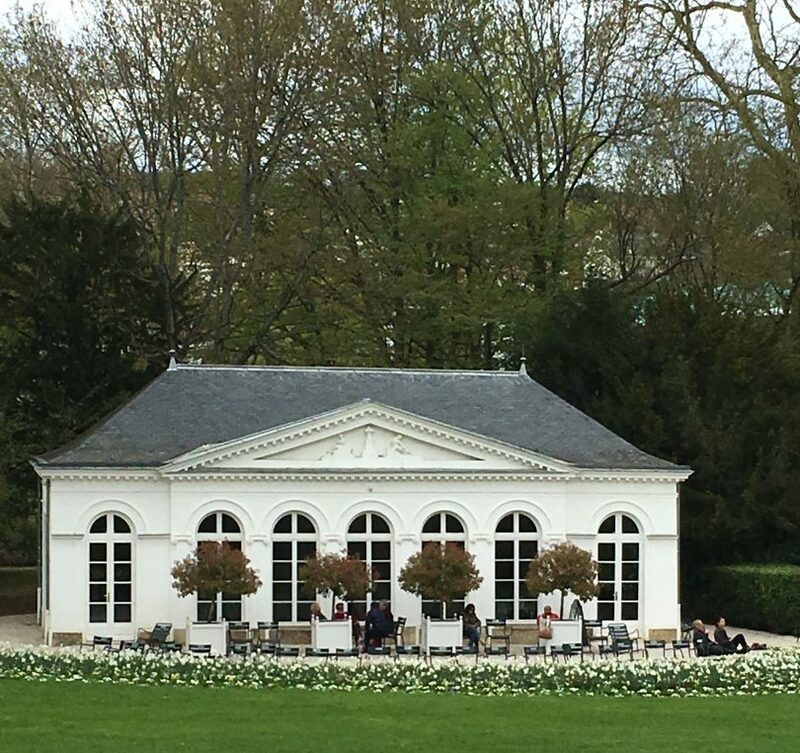 Every year, a special exhibition takes place in the Orangerie and in the modern museum built near the hen’s shack. Last year was the wonderful Truphemus, this year is a private collection of symbolist artists “La Porte des Rêves” (the gate to dreams). 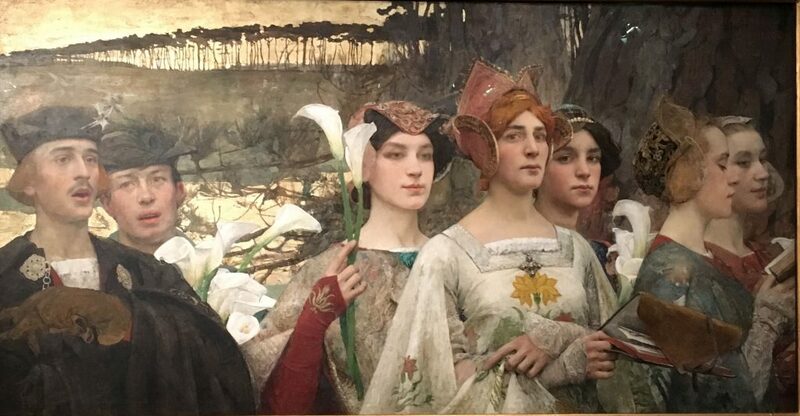 With 183 paintings selected in the twenty year old collection, Edgar Maxence’s medieval procession, Marcel-Beronneau’s phantasmagoric creatures, Maurice Denis, Lévy-Dhurmer and Khnopff’s mysterious ladies, compete with lakes and forests painted by Osbert and Dulac. And in the fall, the Sondra Gilman collection of photographs will be shown with works by Steichen and Sugimoto after its season at the Musée de l’Elysée in Lausanne. tu aurais pu dire que la restauration a été faite avec l’aide de Nicolas Sainte Fare Garnot.